Professional, Office and Retail Space. Are you looking to relocate to the Inland Empire of San Bernardino County? 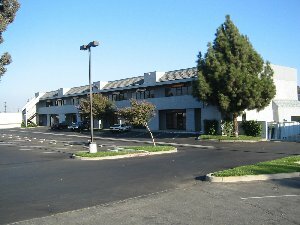 This building is centrally located in Ontario between the 10 and 60 freeways. Holt is a first class building offering all the modern conveniences business professionals expect. Beautifully landscaped grounds, fully air-conditioned suites, generous parking with ample security lighting are just some of the amenities. Any special design needs? We can provide you with high quality tenant improvements to your specifications. Just ask! Each suite has a timer controlled lighted sign above their entrance which directs customers to your business. Do you need high speed internet access? We're wired! Holt Plaza is served by Verizon FiOS the high speed fiber-optic technology demanded by business professionals. This is one of the fastest broadband Internet services available anywhere. When comparing this building with others, please ask the competition about CAM (Common Area Maintenance) charges. You may be shocked to find out they charge an additional $200 per month CAM. At this building your rental rate is fixed per the lease. You can rent with confidence here.